Forest depletion, acidic oceans and extinction – just a few of the hundreds of environmental impacts humans have had on their planet. In honour of Earth Day I’ve compiled a list of easy steps we can take to reduce the impact we have on our planet. But it will be. Humans are living longer and longer so chances are, you will live to see the effect you’ve had on the environment. And what about your children and grandchildren? Do we not have a responsibility to them to make sure what they’re inheriting is habitable? 1.) Ditch the face wipes. I’d go so far as to say ditch all wipes but baby steps. Did you know standard make-up wipes take up to 100 years to biodegrade? That means you’ll rot before they do. Move to an oil/cream/balm cleanser which can be used with water and a flannel. They cleanse SO MUCH BETTER than a face wipe does, and nothing is going in to landfill. In the words of Caroline Hirons, they’re only good for ‘fannies, flights and festivals’. 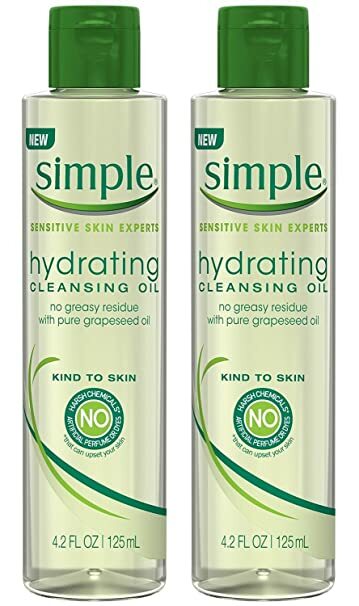 My most used cleanser at the moment is Simple Cleansing Oil, normally £6.99 but on offer in Superdrug for £3.39. In 2018 the UK thankfully banned the sale of microbeads in cosmetic and personal care products, commonly found in scrubs and shower gels. This means that companies will no longer be able to legally sell products that contain the tiny beads of plastic which end up in our oceans and rivers. Bring back 5 empty pots to your local Lush store for recycling, and receive a free Fresh Face Mask. Could there be an easier way to help our planet??? There’s the least effort involved and it’s free. Just make sure you double check what can and can’t be recycled so things aren’t getting mixed up. There really is no excuse not to do this. Did you know you can also recycle clothes? Each year Britons are expected to send 235 million items of clothing to landfill. Read that number again. 235 million. Clothes take hundreds of years to break down because of their unnatural fabrication. H&M lead the way with a clothing recycle scheme in most of their larger stores – please check local areas. You take a bag of textiles down – clean but condition/brand doesn’t matter, offer it up and they take it off for either Rewear, Recycle or Reuse through various social projects. For every kilogram of textiles H&M receives, a small portion of money will be donated to a local charity organisation. What’s more, they give you a voucher to spend in store or online every time you drop off a bag of textiles. Since 2013 they have collected more than 55,000 tonnes of garments to be recycled. If you want to know more, I’ve put a link to their article here. 4.) Ditch the plastic straws. If you must have a straw, have you tried a metal one? I’m not talking about a rod of steel poking conspicuously out of your Cosmopolitan glass. These are specially crafted stainless steel straws which are designed to be 100% reusable. They come in different colours/styles to compliment any glass/drink and aren’t likely to end up in the nose of some poor Turtle somewhere. Amazon sell them in packs here. Two benefits here: 1x helps the environment, 2x saves you money. When I was a student to say money was tight would be an understatement. We were broke. Like most people, our energy bills each month were estimates then we’d get back any over payments at the end of the year. Determined to save our money we made it a habit to switch off every unused light/plug in the flat. After a while it just became second nature and something I still do to this day. At the end of the year we got our credit statement – £325 EACH (there were three of us). We literally jumped for joy. 6.) Make use of Public Transport. I can hear the groans already. For people who live in cities they will be doing this anyway. 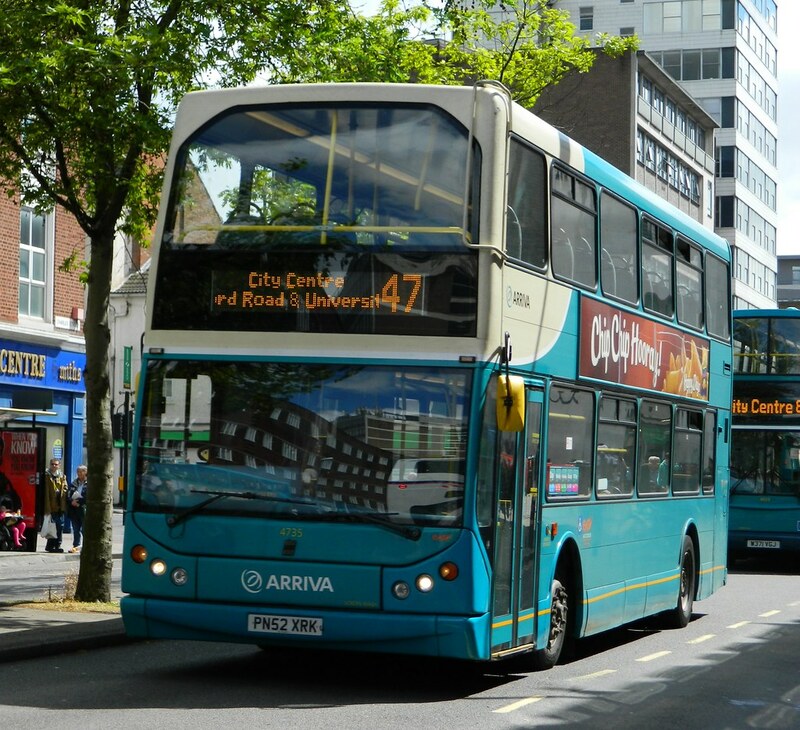 Reduce your impact on air pollution by taking the bus/tram/train once in a while. It’s actually nice to be going somewhere whilst letting someone else do the driving. I get that in some places it might actually be cheaper to pay for parking than a bus ticket, but keep your eye out for special offers companies run around certain points of the year and consider taking them up on it. Car-share or cycle schemes are also brilliant and increasing in popularity. Most cities will have cycle schemes, like Nottingham for example where you can hire bikes for the day starting from £1, or Leicester with its bike park and showers. Supermarkets in the UK now have to charge for shopping bags so it makes sense to buy reusable ones. This cuts down on the number of bags drifting into oceans and ending up in the bellies of whales/birds. 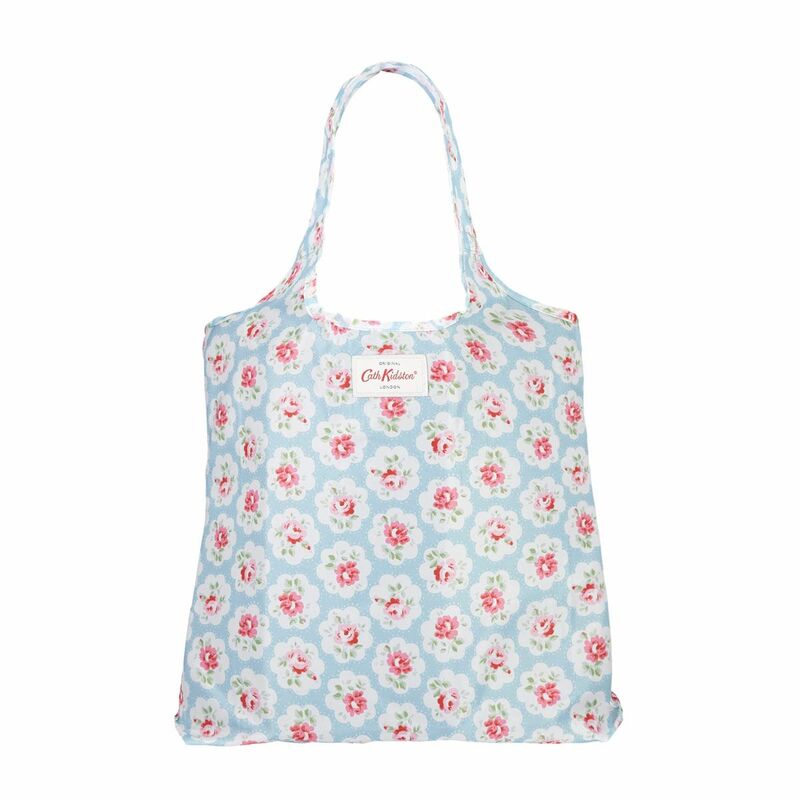 They also come in some great little designs like this Cath Kidston one. Be gone, days of handles breaking! Bottled water companies increasingly use BPA-free plastic, but laced into plastic bottles are other chemicals that can seep out if bottles are exposed to heat or sit around for a long time. In addition, plastic bottles after much wear and tear can release a chemical called Bisphenol S (BPS) which combined with BPA can contaminate your liquid, and once ingested lead to serious health problems like cancer, diabetes and asthma. There is also some suggestion that couples who have high levels of BPA in their blood will face fertility challenges when trying to conceive. Buy reusable ones. Again these come in all shapes, sizes and colours so there’s really something for everyone. This minimises the impact on the environment but also your personal health. 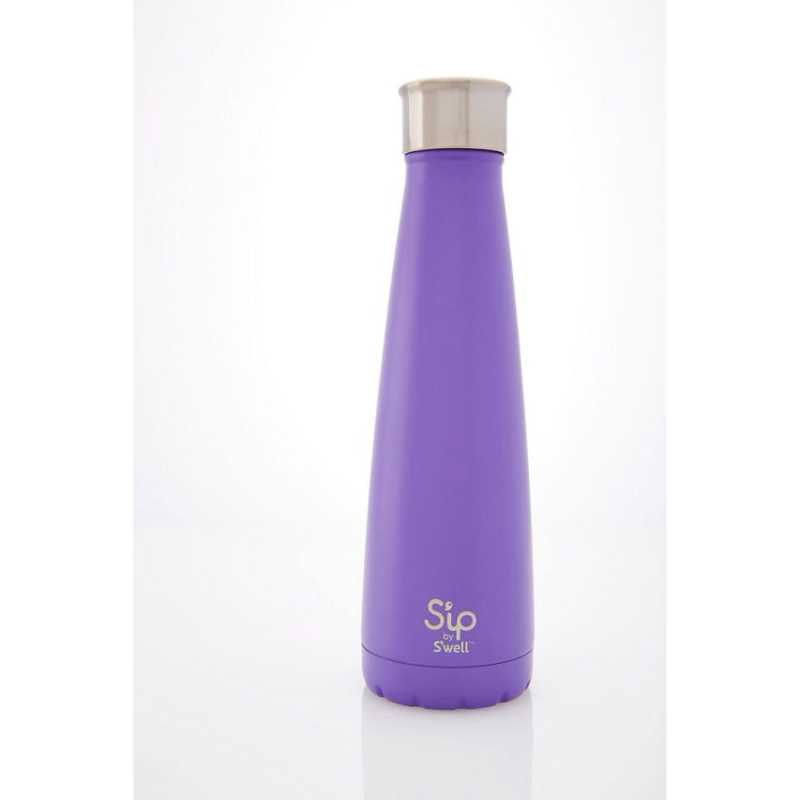 The S’ip S’well is available on Amazon, here. Not so applicable now summer’s here but in winter, wear an extra layer and turn your heating down. This will reduce you carbon dioxide emissions and save money on your heating bills. Turning your heating down by one degree could cut your annual heating bills by up to 10%. If you can afford it, look at getting a smart meter installed in your home. Most big energy companies will now install this for free as part of your package. It will allow you to see exactly how much money your spending on energy, and where you can make cuts. – Buy toilet paper or tissue paper that plants trees for every pack you buy. – We’ve been conditioned to think that 99.9% of bacterial removal and a strong smell of bleach equals a clean house. However it is possible to buy products that do the same job minus the horrific impact on the environment. My favourite brand for this is Ecover. It’s made from natural plant materials and smells lovely whilst providing solid cleaning. Because of it’s natural composition, its effect on the environment is significantly reduced so yo can scrub away knowing you’re helping out our planet. – Move away from aerosols and use roll-on deodorant instead. Personally, I think it provides better coverage. Most companies will now use compressed gases in their aerosols that don’t impact the ozone layer ‘as much’ but some still contain CFCs which are just as bad. This is an amazing planet. It’s sustained such a variety of life that we’ve yet to met any other planet to rival it. We have a duty to our Home to look after it and nurture it, as it has nurtured and sustained us. But if we continue as we are, another few hundred years and green pastures and life-filled oceans will be a dusty picture in a history book. Comment below with your tips/ideas for support our planet. Thanks for reading!